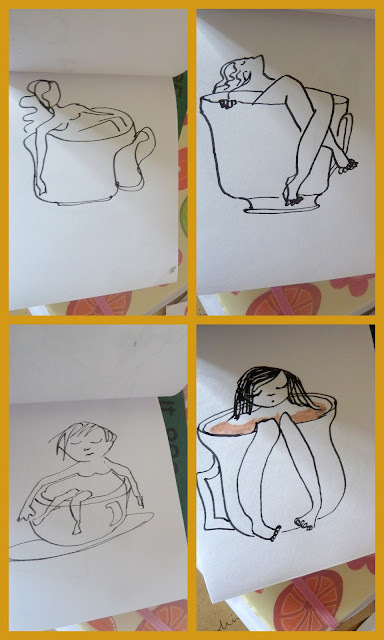 A collection of Bathing Tea Ladies could only ever be known as a Brew of Beauties and here are the working drawings. 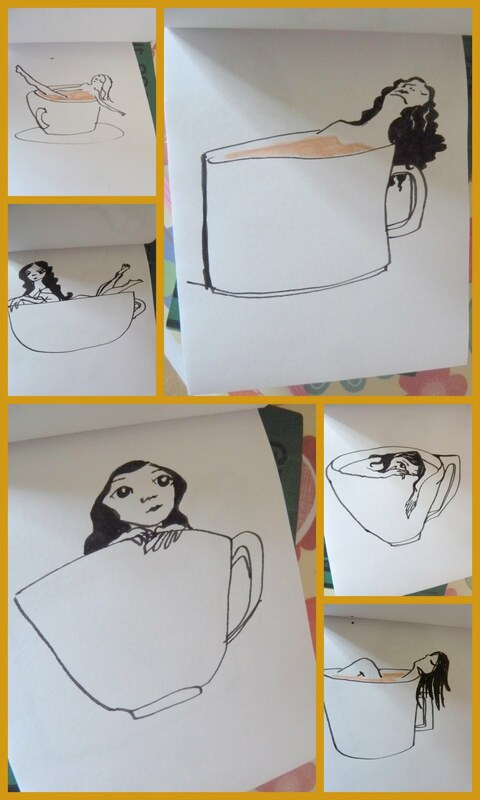 Striaght from my sketchbook, some just a few squiggles, some with flowing locks and those fluttering eyelashes all set to go. It's interesting how they all have personalities even at this stage but wait until they are finished to decide if they suit their names. 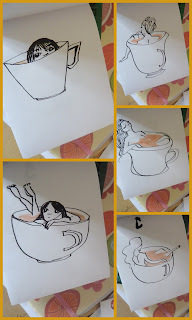 How lovely, The Bathing Tea Ladies will be on sale from their launch on Wednesday, there will be limited numbers and it will be first come first served. I'll be ubloading the images the morning after for general public release.